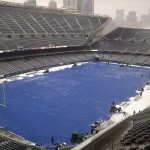 Can Your Athletic Field Covers Withstand Winters Full Range of Abuse? 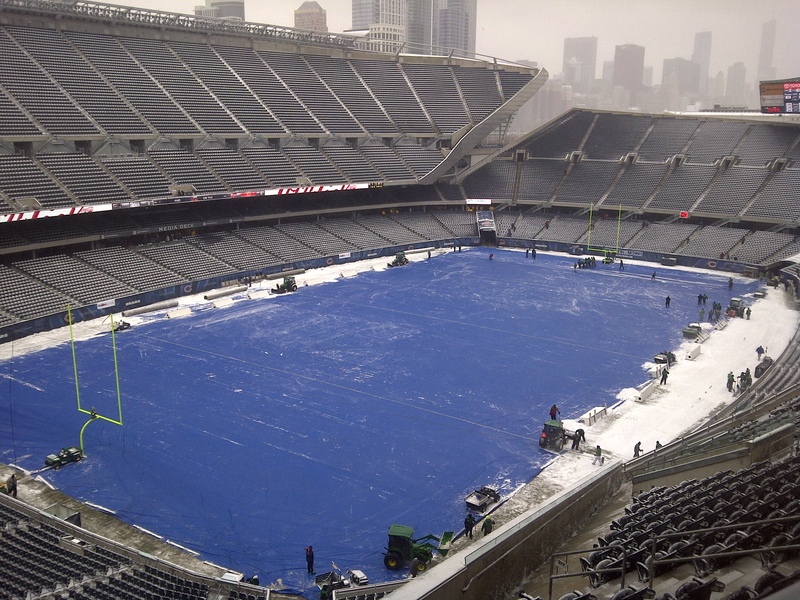 Athletic field covers are durable enough to get past being buried underneath of snow and ice. Alas, thats not all theyre likely to come into contact with each year. Theres also road salt, sports equipment and perhaps the edges of wayward snow blowers to deal with throughout the winter. So how should field managers protect them from damage? Posting signs that identify the athletic field covers boundaries definitely helps to keep damaging foot and machine traffic at bay. Generally, placing warning markers on each corner of the field connected by high-visibility rope or chain should suffice for most urban recreation areas. Rural areas, on the other hand, may require reflectors or dusk-to-dawn lighting to keep people and their machinery off of the fields at night. As for the road salt, it can be hard to keep it off of athletic field covers; particularly those positioned near parking lots and heavily used thoroughfares. Therefore, it may help to speak with road crews in the area about sodium or chemical free alternatives. Perhaps theyd be willing to switch to products less likely to degrade the covers. If not, maybe theyd be willing to temporarily defer area road maintenance to athletic field owners. Then the field owners could invest in chemical free solutions and have their in-house team apply them to nearby roadways. 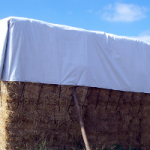 If no chemical free products prove to be effective, there is one other solution to consider, specialty covers. Some athletic field covers are specially treated to resist standard landscape chemicals, including sodium. So they tend to last winter after winter. Many are available for sale alongside of other replacement covers meant to protect recreational areas. Examples include covers for bleacher seats, dug outs, and open ticket booths. To find out more about them and tips for keeping athletic field covers in excellent shape, please contact us. This entry was posted in athletic field covers and tagged athletic covers, athletic field covers on February 4, 2016 by Canopies Tarps. Growing plants that are able to withstand the harsh weather temperatures that happen where you live is an intelligent homeowner choice as it allows you to enjoy a low-maintenance and a beautiful home at all times. However, you could run into issues when winter weather such as rain or snow gets in the way. If you have most of your garden in a specific area or you have a planter garden, you should think about investing in a mesh canopy to keep your plants protected from harm. Although you might not get that much sunshine during wintertime, you should still take advantage of the sunlight as your plants will stay healthier when they get plenty of exposure. 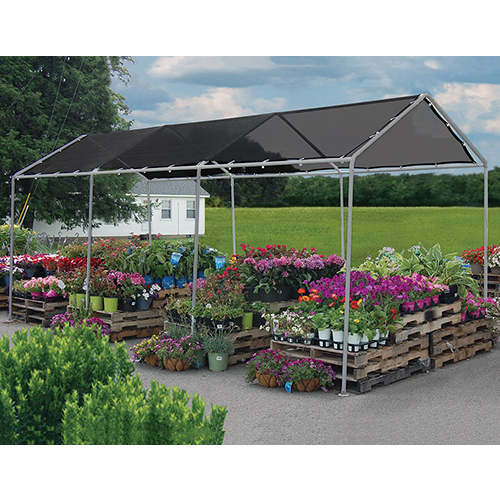 Protecting your plants and allowing for sunlight penetration might not sound easy, but using a mesh canopy makes it that way. For potted plants, the holes on the bottom of the pots will do everything they can to prevent rainwater from collecting, but you could still have pools of water that can cause a great deal of harm to your plants when the water is not quickly removed. 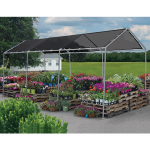 However, with a mesh canopy, while the rain will still get through because of the mesh design, you will get enough protection to prevent your plants from flooding. Snowfall is something else that can happen during wintertime. While it is generally the cold that causes most plants to go dormant or die in the winter, you might have perennials that can handle freezing temperatures. However, these plants may not be able to survive through complete snow coverage. 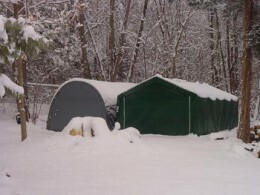 Covering your plants with a mesh canopy will prevent them from getting engulfed in snow. Contact us if you would like to learn more about our canopies. This entry was posted in canopies and tagged canopy, mesh tarps on February 4, 2016 by Canopies Tarps. During the winter months, it may seem like Mother Nature is taking a holiday but its not true. Despite the seasonal slowdown, yard work and home maintenance responsibilities continue to pile up. For instance, there are those broken tree limbs that will need to be picked up and gotten rid of before springs arrival. 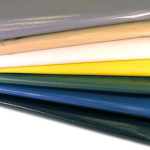 So youll unquestionably need an assortment of vinyl tarps. Reinforced, vinyl tarps meant to be abrasion and puncture resistant are ideal for disposing of broken tree limbs. 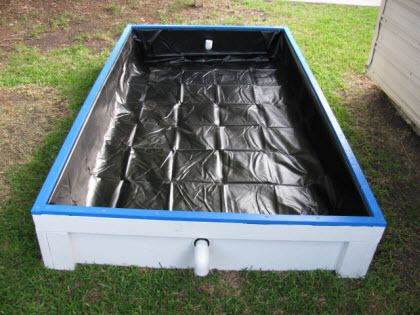 Simply spread the vinyl tarp on to the completely or semi-frozen ground and put the discarded limbs on top of it. Then grab the wood-filled, vinyl tarps by the seams or grommets and pull them to a designated location for further processing. If you plan on running the discarded branches through a wood chipper, be sure to place extra vinyl tarps in front of the machines exit chute. Then position the chute so the chips will fly out and hopefully land on top of the surrounding, vinyl tarps. Afterward, the tarps ends could be folded over to protect the chips from precipitation. Just remember, in addition to fire starters, theyll make excellent mulch and driveway filler for homes situated in rural areas. So once the chips have dried out, they could be bagged for future use or immediately tossed into the wood stove. 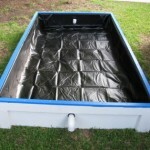 Depending on how many pounds of wood chips there are, the vinyl tarps could double as temporary storage aids. Furthermore, spare vinyl tarps may be used to protect the wood chipper from late season storms and store room debris in between work days. Our staff may be able to help find wood chipper covers for everyones machines as well as other vinyl tarps perfect for December through February yard work projects. To receive courteous, professional assistance, please contact us today. This entry was posted in vinyl tarps and tagged tarps, vinyl tarps on February 4, 2016 by Canopies Tarps. Is it Necessary to Choose Snow and Wind Rated Canopies for Outdoor Use? Each year, people talk about how cold it gets outside. Thankfully, Californians dont have to deal with the kind of toe-numbing temperatures found in places like Caribou, Maine and Jackson, Wyoming. They drop so low that The Weather Channel has previously named them two of the most frigid locales in the nation. Even so, all places have their chilly moments and that leads one to ask, Is it necessary to buy snow and wind rated canopies for outdoor use? 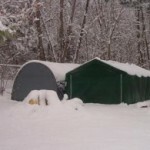 Our outdoor shelter experts readily admit that anyone hoping to use canopies year round should definitely take a look at wind and snow ratings. Wind and snow ratings, although not fail safe, will help buyers in places like Gunnison, Colorado and International Falls, Minnesota determine if the canopies theyre interested in will withstand their respective regions brutal winters. Which incidentally, are known to boast temperatures as low as -55 degree Fahrenheit! Wind ratings for canopies typically take into account how many miles per hour may hit a structure before the material tears away from the frame. Snow load ratings, on the other hand, are normally listed as pounds per square foot. So, they only take into account how much snow may pile on top of the canopy before it gives way. Thus, neither rating takes into account sub-zero temperatures and snow blind conditions. To ensure that canopies withstand those two elements, buyers should also look at the products UV resistance and thermal capabilities too. Together with the snow and wind ratings, they should give buyers a fairly accurate view of just how tough a canopy is before they invest in one and put it to use in extreme conditions. To learn more about the ratings and find a combination that works for a given region, please contact our outdoor canopy experts today. This entry was posted in portable garage, portable garages and tagged portable garages on February 4, 2016 by Canopies Tarps. Many places around the country experienced a pretty mild fall. With less snow and precipitation than usual, you might not be really ready for the winter the way you normally are when the snow comes sooner and freezing temperatures are more prevalent. It’s not too late to protect your recreational vehicles, sporting goods and outdoor equipment from the elements this winter. Snow and ice have a way of deteriorating certain kinds of outdoor equipment, but simply buying tarps to cover them throughout the winter can mitigate a lot of the damage. 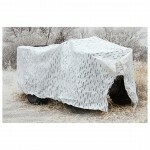 Tarps will protect your belongings from rust and tarnish and keep them running well for another season. Don’t forget that you may want to cover up your outdoor BBQ grill if you won’t be using it during the winter too. 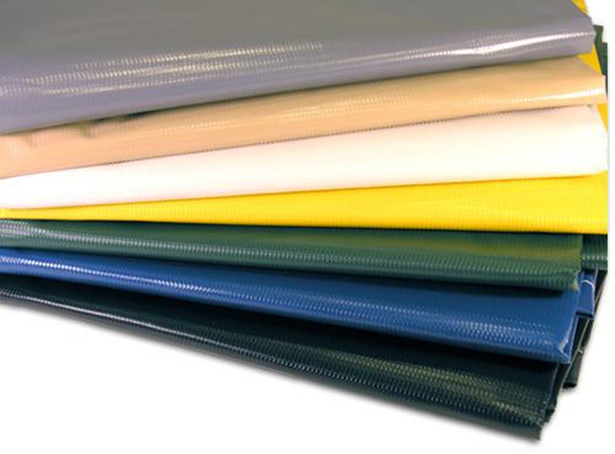 When it comes to purchasing tarps you have a lot of options. Purchasing from an online retailer will give you the maximum selection because online retailers aren’t limited by the square footage in their stores. 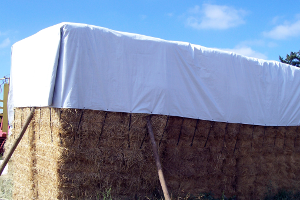 For more information on purchasing high-quality tarps at affordable prices please contact us. This entry was posted in Tarps and tagged tarps on February 4, 2016 by Canopies Tarps.